I'm so excited to be trying out Hairfinity healthy hair vitamins for the next couple of months. 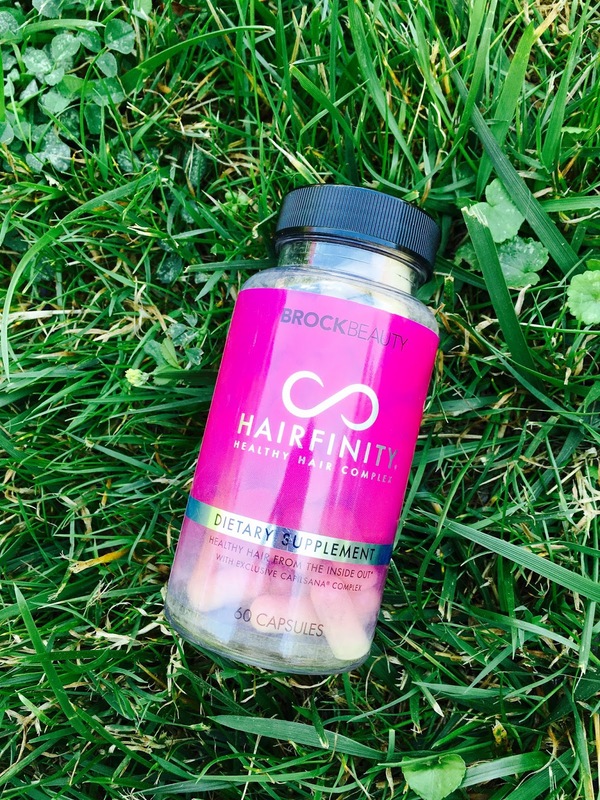 Hairfinity hair vitamins are formulated to fill in the gaps left by your regular diet and provide your body with nutrients to promote healthy hair. The exclusive capilsana complex provides hair by strengthening amino acids in hydrolyzed collagen, MSM for vitality and hair booting horsetail and silica. I've heard amazing things about this product like shiny, healthier hair and hair growth. Personally, if I'm going to take anything I always want to make sure I know what is in anything I'm taking. I'm that annoying person always reading the back of boxes making sure I know exactly whats going in my body. Other ingredients that I'm personally a happy camper to see in these capsules are..
Vitamins A and D - Antioxidant protection that helps promote healthy hair and scalp. Niacin - Helps promote blood circulation to the scalp. Pantothenic Acid - Strengthens and nourishes the hair follicle. Vitamin B12 - Helps promote transportation of oxygen to the scalp and follicles. Biotin - Promotes growth of existing hair, produces keratin, and works to increase hair's elasticy. Additional Ingredients - Vitamins B1, B2, B6, C, Folic Acid, and Calcium. I'm going to be updating you guys with my Hairfinity journey monthly over on my Instagram-@sydhoff3 and of course at the end of the next couple of months I will give you guys a detailed description of my experience on my blog. Everyone wants healthy, happy hair and I'm so excited to try out Hairfinity!